for new,commercial, build & remedial projects. Liquid applied waterproofing membranes solves water leaks by using waterproof coatings with a spray on application directly over existing surfaces. This provides a rapid & cost effective watertight coating for leaking balconies, basements & roofs. Using spray-on waterproofing products, Findlay-Evans provide long term & permanent watertight protection for facilities & infrastructure. Save thousands of dollars by eliminating time, cost & the inconvenience of removing an existing deteriorated surface by spraying directly over. 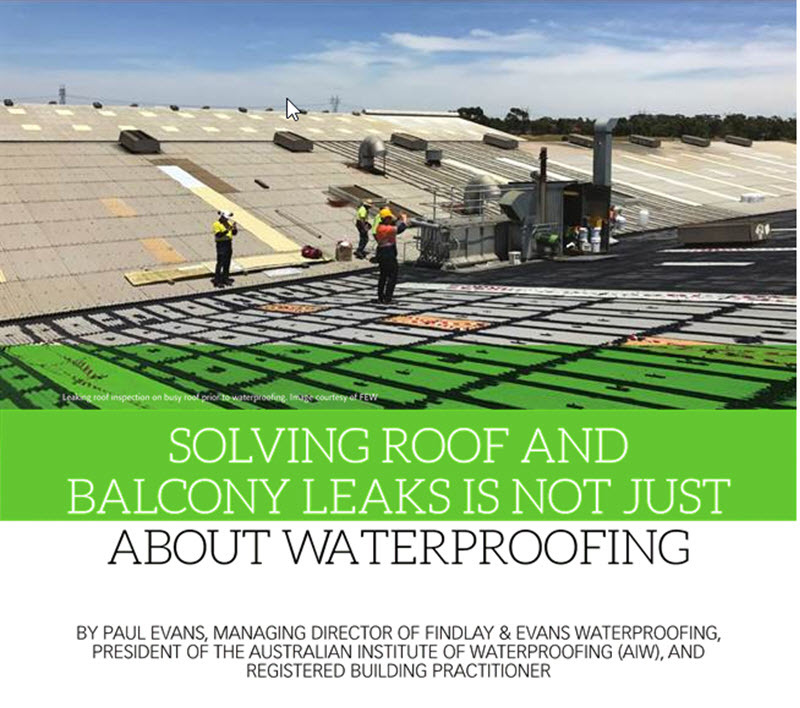 VIEW VIDEO :- below as Paul Evans, Manager/Director of Findlay-Evans Waterproofing discusses the reasons why they use liquid applied waterproof products . Liquid waterproofing systems allow rapid, cost effective seamless protection of balcony, basement & roof structures without the application of heat or fumes or adhesives. When used in restoration projects, liquid applied waterproofing methods can usually be applied over existing waterproofing surfaces without the need for stripping and removal. 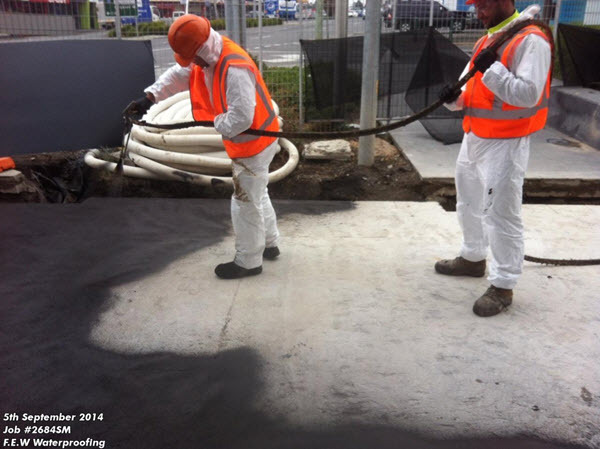 This saves time and cost - especially important for time sensitive commercial waterproofing projects. 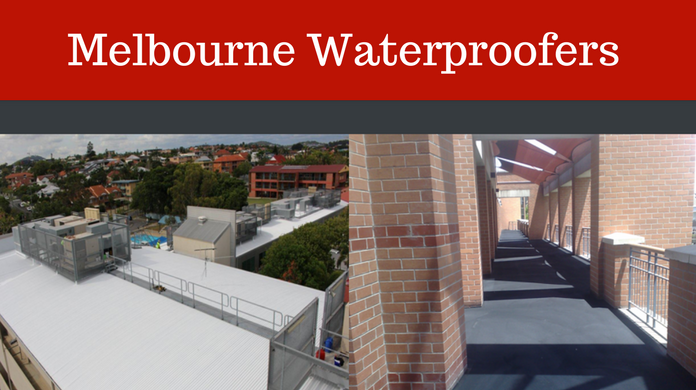 Depending on the system chosen, waterproofing is guaranteed for 10, 15 or 20 years. No matter how challenging the problem, Findlay-Evans Waterproofing select and install the correct waterproofing membrane system for your project. While at the same time providing cost effective solutions. Findlay-Evans offer a range of solutions to help property management companies, architects, engineers and tradesmen who face the challenge of selecting appropriate products and services for refurbishment and remedial projects. Spray On Liquid Waterproofing Products are multi-functional in design, providing not only waterproofing but also act as excellent adhesives in their own right and create an aesthetically pleasing result. The maintenance life cycle of a building structure is a serious cost consideration for asset protection. Prolonging the life cycle of balconies & roofs is often the difference between selecting a superior product that provides a long term & maintenance-free life, or a lesser product that will need work after 5 years. Findlay-Evans Waterproofing are confident that we can provide the ideal waterproofing and concrete repair solutions for your remedial project. Balcony strip, re-install waterproof membrane, tile and/or apply top coat. We offer a wide range of premium quality waterproofing products that are innovative and cost effective solutions, engineered for durability and reliability. Liquid Rubber products cure to provide a seamless, fully adhered flexible membrane which prevent water ingress and resist damage from water, ultra violet light and harmful chemicals. All coatings are environmentally friendly, non-toxic, certified potable, OH&S compliant, UV and Salt resistant. 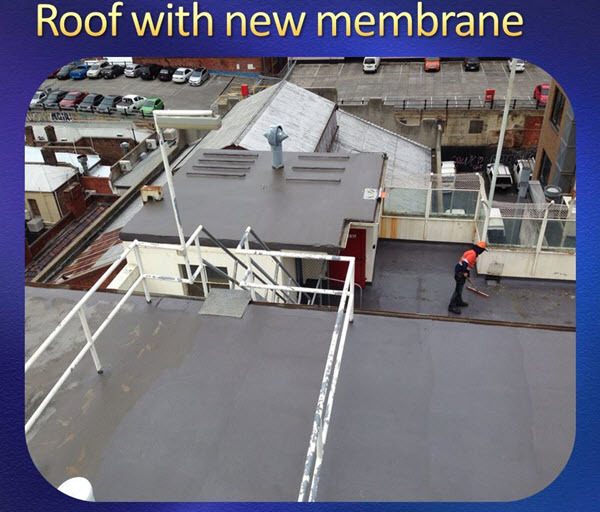 Liquid Rubber is applied as single cold spray-applied waterproof coat ( NO heat or torches involved) and will bring an entire balcony or roof back to life without costly downtime, exposure to the elements & OHS issues. 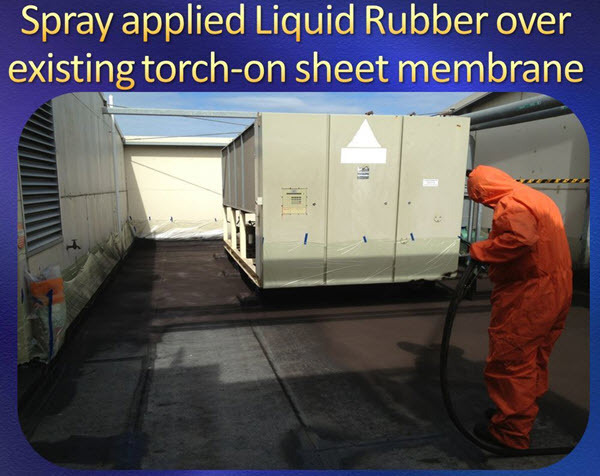 Spray-applied Liquid Rubber membrane system will preserve your surface, protecting it from airborne pollutants, salt spray, fungus and mildew.